An elementary classroom needs visual aids. Every elementary classroom needs equipment and educational materials to help students learn. Hands-on manipulatives help young learners with short attention spans stay interested in academic content. Technology is an important part of the learning environment for both younger and older elementary students. Classrooms also need visual aids so teachers can illustrate concepts, giving students the opportunity to explore new subject matter. 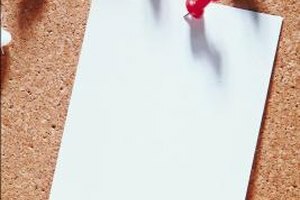 Teachers use white boards or blackboards to provide academic examples, list homework assignments, illustrate new concepts, outline material and record disciplinary actions. Students use the boards to work on math problems, practice sentence diagramming and illustrate concepts as requested by the teacher. Classrooms also need display boards so teachers can showcase student work. 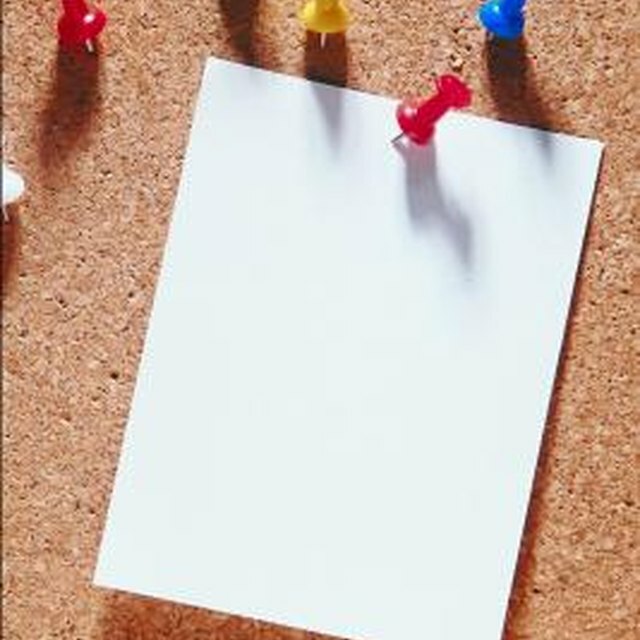 According to the educational website Teacher Vision, cork boards, bulletin boards and display boards give teachers a way to show that they're pleased with their students' academic and artistic accomplishments. Teachers should always display work from each student, at least on a rotational basis if there's not enough space to display all the work at once. Young elementary students need hands-on manipulatives so they can explore concepts proactively. Manipulatives should be within students' reach and students must be instructed as to when and where they're allowed to use them. Examples of manipulatives include: building blocks, geometric shapes, plastic coins, cardboard clocks, wooden beads, plastic planets and flashcards. Teachers must also instruct students on clean-up procedures associated with the organization and storage of manipulatives. Computers are a valuable tool for elementary classrooms. 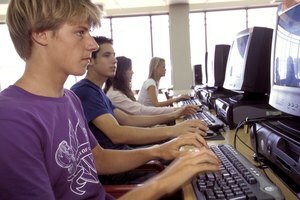 Computer software programs help struggling students practice difficult concepts and provide fun-filled educational material for students at all levels. Academic games, reading assignments and research capabilities give students the opportunity to explore educational concepts. Teachers often create computer-use charts so students know when it's their turn to use them. With older elementary students, safeguards may be necessary to keep curious students from getting on websites that aren't appropriate or offer little educational benefit. Every elementary classroom needs sufficient supplies, such as pencils, paper, crayons, paint, markers, supply tubs, safety scissors, tissue boxes, paper towels, crafting items, tape, chalk, erasers, folders and small self-adhesive bandages. Students may be required to bring items on a supply list at the beginning of the school year, but teachers need to have extra items in case supplies run low. Depending on the age of the students, teachers may also need to supply their classrooms with healthy snacks or treats to tide youngsters over until lunch time. Tucker, Kristine. "Top Things an Elementary Classroom Should Have." 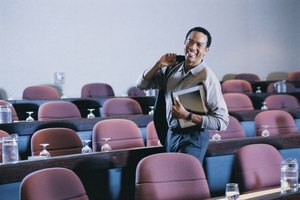 Synonym, https://classroom.synonym.com/top-things-elementary-classroom-should-5071.html. 26 September 2017.